New York City is grand, says Peter Doumas, but it’s even better from a distance. Few spots offer an arms-length urban experience quite like Weehawken, NJ, where Doumas moved two months ago with husband Eddie DaSilva, 43, an esthetician. Tucked between Hoboken to the south and West New York to the north, the waterfront town offers Manhattan views and a quick commute (via two ferry terminals or a bus ride through the Lincoln Tunnel, which sits at the town’s southern edge) into the city as well as a lifestyle that Doumas, who works in health benefits, describes as high on quiet and convenience and low on hustle and bustle. “I’m on the Hudson River with views of the city, but I feel like I’m in Bergen County with a yard and a lawn,” says Doumas, 47. Actually, Doumas and DaSilva’s two-bedroom in Lennar’s Henley on Hudson condo development (201 units, prices from $1.4 million to $2.5 million) features a terrace and communal landscaped space. 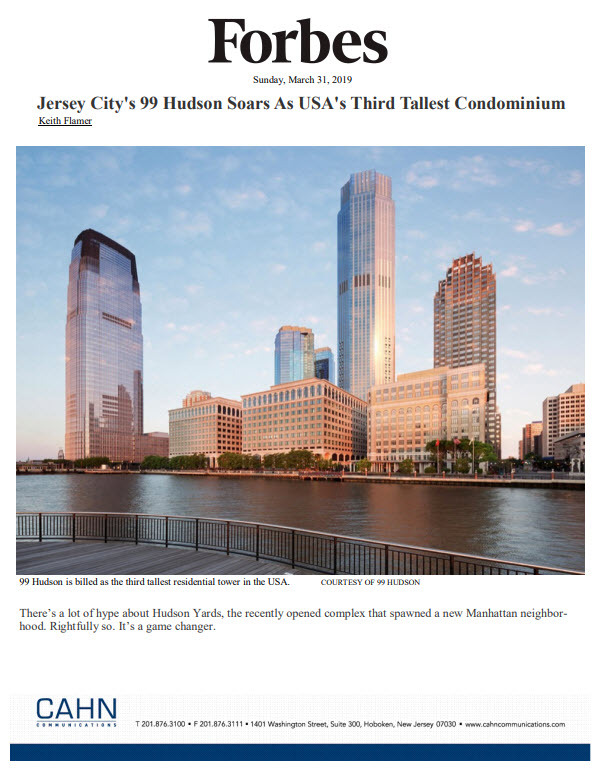 Weehawken isn’t quite “on the radar” like nearby hot spots Hoboken and Jersey City, says Halstead agent Sharon Shahinian, who specializes in Hudson County real estate. But she notes that over the last decade, as a spate of new residential developments have risen along the waterfront, Weehawken has emerged as an option for people priced out of those areas as well as empty-nesters looking to relocate from the Jersey suburbs to somewhere closer to the city. According to Trulia, the median sales price in Weehawken in 2018 was $685,000 and median rent was $2,550 per month. Meanwhile, comparable statistics for Hoboken were $715,000 and $3,300, respectively. Jersey City appears cheaper than both, with a median sales price of $450,000 and a median rent of $1,800. But looking just at that city’s popular Downtown market, though, the median sales price hits $800,000, median rent $2,544. The area continues to add both residential and retail projects. Perhaps most notably, in May, Whole Foods plans to open a store in Lincoln Harbor — a 60-acre riverside parcel in Weehawken’s southeast corner developed by Hartz Mountain that features a 350-room Sheraton hotel, a Ruth’s Chris Steak House, a Houlihan’s and a CVS, as well as Harbor 1500, Estuary and the Riva Pointe Condos (245 units from $450,000 to $1.4 million). On the northern swath of the waterfront, in the town’s Port Imperial section, is Doumas and DaSilva’s home, Henley on Hudson, along with neighboring projects 1200 Avenue (103 units from $2 million to $2.5 million) and 1000 Avenue (74 units, three-bedroom resale currently available for $3.3 million).